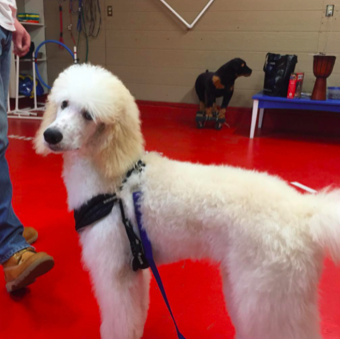 The 10 day training course (obedience + agility) is good for the dog to receive a bit more than basic training and knowledge. Your whole family and your dog will learn to understand each other, and will learn how to use over 15 different commands in everyday life. In these ten days, you will learn how to perform a complex, which is a series of the major commands. Get your dogs to be obedient and modify any bad behaviors in 10 days. Master Dog Training will also work with your dog on modifying any undesired behaviors, such as leash pulling, excessive barking, aggression towards other dogs, and misbehaving while home alone (ruining furniture, defecating, ruining books, etc.). This complex will teach the dog new rules that it will use while living with your family. For example, while walking your favorite canine friend, you should also be aware of the proper rules for controlling him or her when cars pass by, dogs bark, or people walk by. At home, your dog should properly greet guests by staying in his/her designated “place” until you give him/her permission to say hello. Your dog should also avoid jumping on guests, or playfully bite their hands out of excitement. 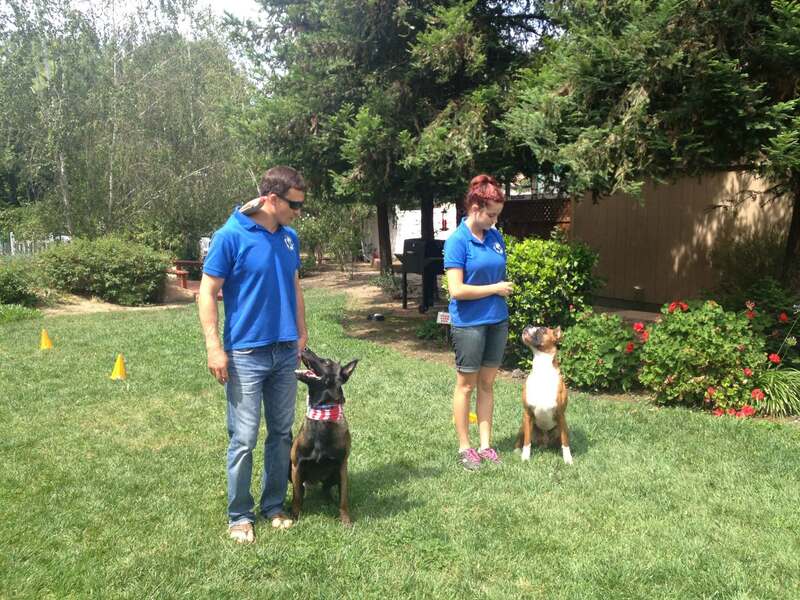 After the 10 day obedience course, your dog will know over 10 commands! The ‘sit down’ and ‘up’ commands are used to get your dog to stay in the designated position for any length of time. For example, while walking the dog, and waiting to cross the street, we give the command ‘up’ or ‘stand’ for the dog to wait before crossing the street. After the danger has passed, we allow the dog to safely continue walking. These commands can also be used to train your dog to stay in front of a store to wait for you to finish running errands, without any regard for other people or animals. Your dog will also be trained to ‘heel’ in order to properly walk or run with you for various distances. Training your dog to ‘come’ is necessary for him or her to learn to quickly return and sit in front of you in any circumstance, including one with different distractions. The ‘place’ command is used to train your dog to quickly return to a designated location, usually a rug or bed, where he or she should promptly lay down. If an object is used instead of a bed or rug, the dog must lay down in front of the object. 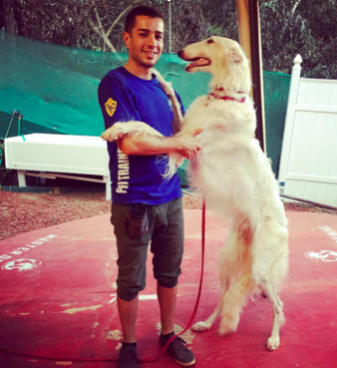 Our professional dog trainers will also teach you how to command your dog to jump over any barrier in front of him or her with confidence and accuracy. Every obstacle has its own purpose. One can be used as a jump, another for strength, while another for coordination and balance, and the last for bringing the dog’s energy level up from moving through a difficult obstacle. Agility is fun for both your dog and you!